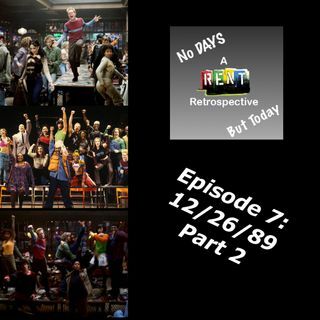 Blake is back to continue breaking down Rent, after some changes behind the scenes. He brings in David Kincannon, from Podvocacy, to dive deep into the movie and the Broadway show. They look at the differences between the shows, especially the character of Joann, (We're Okay), and the story of Benny and Mimi being pushed later into the movie. Then, they look at Christmas Bells and what made the movie and how this is one of the hardest songs to learn as a fan. Finally we get to the Life ... See More Cafe for a party, romance and a riot, as they break down in detail, La Vie Boheme A, I Should Tell You and La Vie Boheme B.